ERMIS FC youth team enters the Man’s Championship and succeeds (with Pics)! The full report of the Coca Cola Cup 2017 (Regional Finals and the Finals of Central Greece) is now available. Today was SV Böblingen’s first official day in which its training camp kicked off. So, how did the brothers of ERMIS FC begin their camp? They woke up early in the morning for their “daybreak” training session. After that, back to their rooms for some breakfast. At noon, another training session was completed… as planned. After that, the team returned to their rooms for lunch. At 16 o’clock SV Böblingen played its first friendly match with ERMIS FC. The game consisted of three parts (or halves – aka, rounds). In the first two rounds, the teams faced off against each other by playing a fast and a very dynamic game. Worth mentioning is the fact that the kids, from both ERMIS FC and SV Böblingen, kicked out the referees from the pitch. Anyway, the referees ended up drinking coffee and watching the game from the side-lines. Furthermore, outside of the pitch the parents from ERMIS FC offered gifts to Petra and Nikoletta, both parents from SV Böblingen’s team. As a symbolic “thank you” for taking good care of their children while ERMIS FC was visiting SV Böblingen, in Germany, during January 2017. Additionally, a traditional tasty Greek “pita” (a Greek type of pie) was waiting for the parents of SV Böblingen to sweeten their stay in the facilities of ERMIS FC. Germany appears to have found the answer to Spain’s tiki-taka style and is a country on the threshold of greatness in European and international football. In this first of a 2-part series we look at German football’s masterplan to improve the fortunes of the national side by radically overhauling its footballing infrastructure and how the plan has assisted the recent success of Bundesliga clubs like Borussia Dortmund and Bayern Munich. German football is now reaping rich dividends from investment initiatives undertaken since 2000 to improve the quality of its coaches and young players. At that time, the German Football Association (Deutscher Fußball-Bund or DFB) began a programme of significant and sustained investment to radically improve its footballing infrastructure. In typical German fashion, the DFB undertook painstakingly thorough research to discover ways to develop better players and coaches. They sought to produce a generation of great players and learned from the experiences of countries like Spain, Holland and France. The Germans were aware that the French rose to prominance by winning the World Cup in 1998 and the European Championship in 2000 with a team from multi-cultural backgrounds. The DFB’s plan was helped by a change in Germany’s nationality law in January 2000 which enabled foreigners to become German citizens. In recent years, players of foreign origin, including Real Madrid’s Mesut Özil and Sami Khedira, have become established in the national team. A key part of the masterplan was the DFB’s requirement that all Bundesliga and Bundesliga 2 clubs build youth academies to develop young talent. The DFB, which regulated the quality of these academies, also built 121 national centres to help young players develop their technical skills. The Germans took full advantage of advances in sports science, particularly from America, to improve players’ physical fitness parameters and employed psychological techniques to enhance on-field performance. The setting-up of the Bundesliga youth academies and the DFB’s district and regional training centres coincided with the collapse of Kirch Group, the broadcaster that had owned the Bundesliga TV rights. This, in addition to the effects of the Bosman ruling in 1995, acted as a financial wake-up call for Bundesliga teams, many of whom had traditionally signed expensive foreign players. After the youth academies became established it made sound economic and football sense for clubs to promote home-grown talent to the first-team. At present, almost 60% of Bundesliga players are German, dramatically higher than the English Premier League where less than 40% of players are English. Many of the German players, whose average age is 24, are Bundesliga academy graduates. Christian Seifert, the Bundesliga’s chief executive, has emphasised the importance of the close relationship between clubs and the DFB in German football’s recent renaissance and the benefit of the “50% plus one” rule introduced in 2001. The rule meant that clubs could not be more than 49% owned by a single entity. With the exception of VfL Wolfsburg and Bayer Leverkusen, long-established works teams owned by Volkswagen and Bayer respectively, all German football clubs are required to have at least 51% member ownership. The significance of this is that the majority of votes on important decisions are cast by fans. After Jürgen Klinsmann was appointed manager in 2004, Germany began to prepare meticulously to increase its chances of success. Klinsmann introduced sports science concepts he learned whilst living in California and devised individual programmes to monitor players’ fitness. 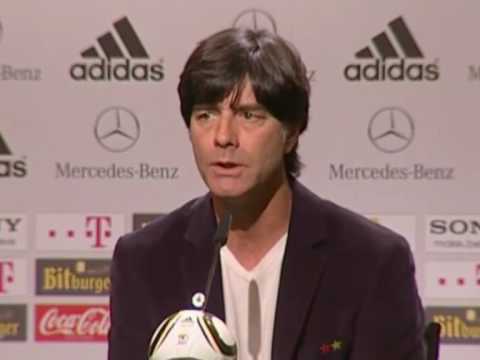 Germany were said to be the fittest team at the 2006 World Cup. The Germans attention to detail extended to the preparation of dossiers, often several hundreds of pages in length, about forthcoming opponents. Professor Buschmann at Team Cologne’s Sporthochschule said that during Euro 2012 he and his team analysed information about their opponents ranging from the amount of ball contact, to tactical and technical aspects of the game, and the strengths and weaknesses of individual players. Germany was beaten by Spain in the final of Euro 2008, and reached the semi-finals of the 2010 World Cup and Euro 2012 where, once again, they received plaudits for their exciting, dynamic football. The future for German football looks wonderfully exciting. The quality of players emerging from academies in recent years suggests the masterplan has been a huge success. Borussia Dortmund manager Jürgen Klopp is aware of positive changes and has said, “Now we have an incredible amount of talented players. New promising players arise all the time. We have become braver by playing young kids of 17 years of age.” German players like Dortmund’s Marco Reus, Mario Götze (soon to move to Bayern) and Bayern’s Thomas Müller, Toni Kroos, Manuel Neuer are considered by many football experts to be well on their way to become world stars. Gegenpressing: The Antidote to Tiki-Taka? Let us now consider what has been happening at club level in German football and the impact that the DFB’s masterplan has had on the quality of players, teams and tactics. This season’s Champions League has once again served up a feast of outstanding fare for football fans. A major talking point has been how Bayern Munich and Borussia Dortmund have successfully dominated and controlled games using a high-tempo, high pressing game, a tactic referred to as ‘gegenpressing’. Gegenpressing, popularised by Jürgen Klopp’s Dortmund side in recent seasons, involves highly-organised pressing, both with and without the ball, and lightening-quick counter-attacks to penetrate and punish the opposition. Bayern Munich’s brilliant Champions League semi-final demolition of Barcelona was a footballing masterclass. An absolute tactical triumph. Without their star player Lionel Messi in the second leg at the Nou Camp, Barcelona were outplayed by a powerful Bayern side whose pre-match preparation was so thorough they seemed to go into the game knowing the answer to every question the Catalan side could pose. Bayern made Barcelona’s tiki-taka style look tired. Over both legs of the tie we saw a contest between Barça’s one trick pony and Bayern’s many trick pony. The Catalans’ over-reliance on Messi’s genius over the past few years and an obvious lack of top quality cover in key positions increased their vulnerability. Now, many have begun to predict the death of tiki-taka and the dominance at club and international level of highly-organised, co-ordinated defensive and attacking units. Barcelona’s great success over much of the past decade has been due to tiki-taka, a possession-based style of football characterised by short passing and intelligent, co-ordinated movement undertaken by technically gifted players. 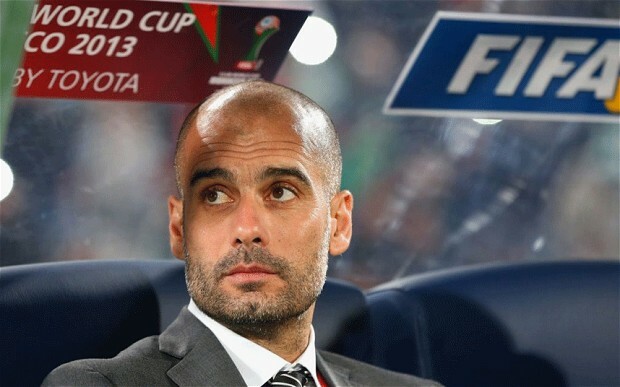 The Barça side under manager Pep Guardiola, who ironically is about to manage Bayern Munich, were formidable. Barcelona typically dominate possession in matches. Generally, against teams who pack the defence and midfield, Barcelona continue to pass the ball patiently until an opening is created or the opposition defence makes a mistake. We came to accept that Barça and Spain’s tiki-taka would eventually outwit even the most defiant defences. Earlier this year in an article entitled “Tiki-Taka Versus Intelligent Parking the Bus”, I wrote about how, especially in the Champions League, Barcelona’s tiki-taka style had been countered by some highly-organised, technically sophisticated teams employing a combination of ultra-defence and explosive counter-attacking. These teams, including Inter Milan, Chelsea and AC Milan continuously pressed and harried Barça instead of seeking to dominate possession of the ball. There is little doubt that the performances of these teams and also of Real Madrid in La Liga demonstrate that, without sufficient space to manoeuvre and thread intricate, incisive passes, tiki-taka can be ineffective. When pressed in a highly organised way with defenders, midfielders and forwards all working tirelessly in a co-ordinated manner, the space for the Barça players Busquets, Xavi Hernandez, Iniesta and Messi to pass and move can be so restricted that they end up passing the ball sideways and to little effect. In the Champions League this season, Bayern Munich, Borussia Dortmund and also Juventus in Italy, have demonstrated a tirelessly energetic, co-ordinated approach to pressing teams. This has helped them to regain possession as well as restricting space for their opponents to pass and move. Watching these teams defend and attack so cohesively can resemble a series of choreographed dance rountines. And, as demonstrated so brilliantly by Bayern in their Champions League semi-final victory over Barcelona, pressing and tightly closing down as a unit also enabled them to anticipate and intercept some of Barça’s passing. On the basis of what we have seen in the performances of the German football team and those of clubs like Bayern and Dortmund, the future for German football looks exceedingly bright. The clubs have clearly benefited from the DFB putting into place a system of youth development which may become the future model for every country in the world. The Bundesliga clubs now have established youth academies, their stadia are generally modern, entrance prices are affordable and fans have a say in the running of the clubs. In German football there is a win-win situation where the DFB and the clubs work in harmony to produce a successful national team. Sadly, this is something which has long since been acknowledged to be missing in English football. German football has arguably never been in such a strong and healthy state. The future for both the German national team and Bundesliga clubs looks exceedingly bright. Bayern Munich and Borussia Dortmund have dominated in the Champions League this season whilst Schalke 04 have demonstrated great potential. Bundesliga clubs have clearly benefited from a masterplan by the German Football Association (DFB) in 2000 to radically improve their footballing infrastructure. Fundamental to the current success of German football is that the DFB and Bundesliga clubs work in harmony to their mutual benefit. As a result of the investment in youth development and coach training, Bundesliga clubs have seen the emergence of academy-produced home-grown talent. This, in turn, has helped the German national team which now includes highly talented young players like Özil, Khedira, Müller, Götze, Reus and Kroos. The second and final article of this series examines the recent success of the top two German teams Bayern Munich and Borussia Dormund and, in particular, their employment of ‘gegenpressing’ (or counter-pressing) as part of their tactical repertoire. An intriguing question is whether the ultra-organised, ultra-commited, cohesive defensive and attacking approach employed so successfully by Bayern and Dortmund has the potential to become the new force in European football and dominate over the Spanish possession-based tiki-taka style? Without doubt, the huge success of Barcelona and the Spanish national side presented European and international football with a significant problem. The challenge has been to develop a tactical approach capable of triumphing over tiki-taka. Let’s consider Borussia Dortmund’s solution. Their astute manager Jürgen Klopp studied the Barça style in great detail but, importantly, he didn’t set out to imitate tiki-taka. 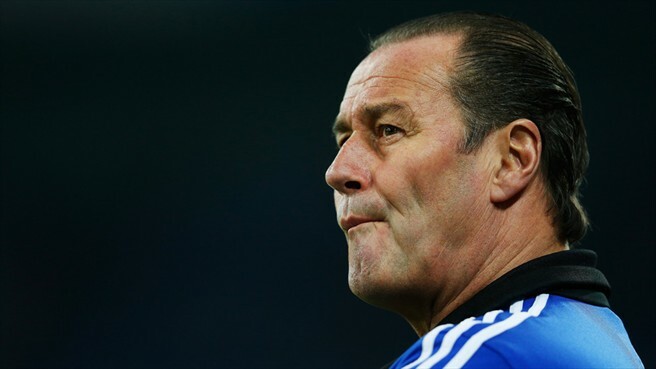 Instead, he developed the gegenpressing style of play. Gegenpressing differs from Barcelona’s approach of pressing teams as high up the pitch as possible by incorporating a defensive as well as attacking element, which involves the whole team pressing aggressively in unison. Gegenpressing is a highly-organised approach to regaining possession and minimising space for the opposition. Dortmund’s opponents are rapidly closed down by well-rehearsed, co-ordinated pressing movements, often by two or more players, allied with intelligent positioning to restrict space for players to pass and move into. Klopp knows that possession of the ball without creating and taking goal-scoring opportunities means little. He also understands that for possession-based approaches like tiki-taka to be effective, players need space to pass and move in key areas, particularly the final third of the pitch. The Dortmund manager has described gegenpressing as “the best playmaker in the world. The best moment to win the ball is immediately after your team just lost it. The opponent is still looking for orientation where to pass the ball.” Once Dortmund have regained possession, the transition from defence to attack is organised and, potentially, explosive. But, although Klopp is renowned for his commitment to open attacking football, he is no ‘one trick pony’. Gegenpressing does not mean playing the same way all the time. Dortmund can play a variety of styles and formations, all underpinned by the gegenpressing approach. Against Real Madrid in the Champions League group stages this season, Madrid were allowed the majority of ball possession but the Dortmund players closely pressed Madrid players like Xabi Alonso to limit his ability to pass and bring others into the game. Klopp and his players did their homework to learn how to anticipate Madrid’s play and successfully eliminated or restricted both the supply to and goal-scoring opportunities for the highly dangerous Cristiano Ronaldo. Klopp used gegenpressing to capitalise on Dortmund’s ability to execute extremely quick transitions, moving the ball up the field as fast as possible. Speed of play matters very much to Klopp. This season, Dortmund’s attack has taken on a new dimension with the acquisition of young German international Marco Reus. He and the young maestro Mario Götze (who has now signed for Bayern Munich), regarded by many as the new Messi-in-the-making, have brilliantly exploited the space between defence and midfield. Klopp has encouraged the pair to play as close together as possible. Dortmund’s transitions have been even quicker than in previous seasons and Götze and Reus have created the vast majority of Dortmund’s scoring chances. Anyone who has watched Dortmund this season can’t fail to have been impressed by the chemistry and link-up play of Götze and Reus, referred to collectively as “Götzeus” because of their inventive interplay, involving almost telepathic passing and movement. 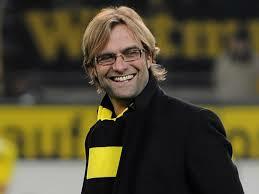 This has added an additional layer of sophistication and unpredictability to Dortmund’s play. Their lightening-quick attacking movements have capitalised on the devastating finishing of players like Polish international forward Lewandowski. A great example of this was the build-up to their opening goal against Malaga in the Champions League quarter-final. The speed of passing and movement that preceded Reus’s fantastic mid-air back-heeled flick to put Lewandowski through to score was sublime. Pressing opponents relentlessly throughout a game requires players to be as fit as is physically and technically possible. Klopp has trained his players to develop incredible stamina, as evidenced by their Bundesliga and Champions League running distance statistics. Dortmund certainly work tirelessly with and without the ball. However, in addition to fitness, Klopp astutely saw how cutting edge technology could improve players’ technique and help them to develop razor-sharp reactions. In a previous article “Jürgen Klopp’s Dortmund: Masters of Technology and Technique”, I described how Klopp introduced a highly sophisticated computerised ball feeding machine called Footbonaut to Dortmund’s training regime. This technology has improved players’ reaction time, ball control, spatial awareness and peripheral vision. According to Klopp, Dortmund are the only team in the world to use Footbonaut. The technology fits perfectly with Klopp’s philosophy of playing football at devastating speed and with razor-sharp precision. Klopp is part of a new breed of coaches who see the great benefit of programming players’ brains to react more quickly, almost instinctively, on the pitch. 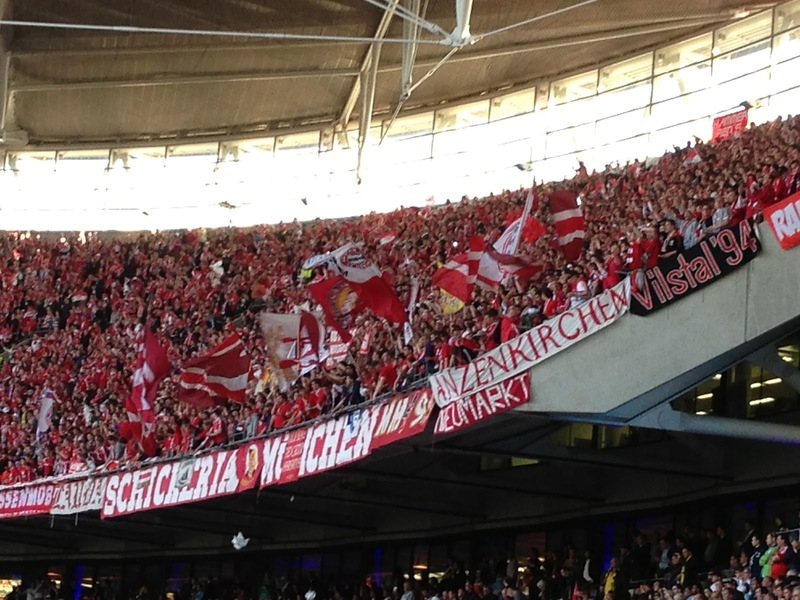 Let’s now consider the reasons for the upturn in the fortunes of Bayern Munich this season. 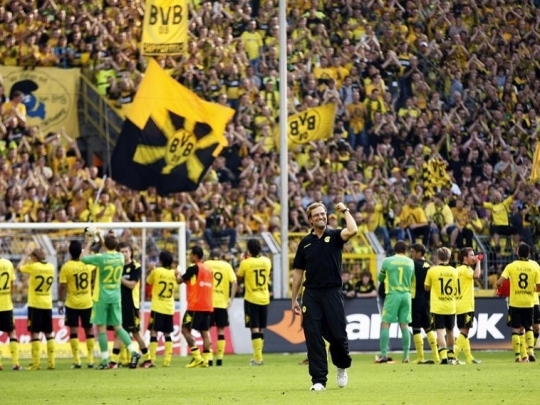 Many believe that this has been due to learning from Jürgen Klopp’s successful Dortmund team. For example, after seeing their rivals Borussia Dortmund win consecutive Bundesliga titles, Bayern worked hard in pre-season to avoid a repeat of previous seasons where they played, at times, beautiful football but won nothing. Munich added gegenpressing to their tactical repertoire. 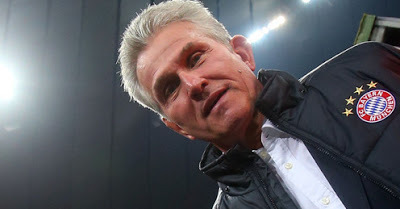 It has given Jupp Heynckes’ side a valuable additional dimension. Bayern can now play a variety of styles that includes a possession-based, almost tiki-taka style, introduced by Heynckes’ predecessor Louis van Gaal. Matthias Sammer, appointed as Bayern’s sporting director at the start of the season, says succinctly “The good results are the upshot of hard work.” And there is little doubt that the fluidly and cohesiveness of Bayern’s play this season has been underpinned by a tremendous work ethic, especially in limiting space for their opponents. They have refined their pressing game to the point where they have managed to nullify the influence of great playmakers like Sergio Busquets of Barcelona and Andrea Pirlo of Juventus in the Champions League. Javi Martinez’s defensive midfield partnership with Bastian Schweinsteiger has contributed significantly to Bayern’s improved pressing game. Bayern’s great speed and flair in transitions from defence to attack have capitalised on the pace and finishing of Robben, Ribery, Müller and Mandzukić to punish opponents. In the Champions League semi-final against Barcelona, Bayern executed the gegenpressing tactic brilliantly to take full advantage of the space Barcelona leave when they push high upfield. Heynckes astutely observed how vulnerable Barcelona could be after losing possession to a team that can attack cohesively in numbers and at great pace. Bayern’s successful season owes much to the gegenpressing tactic but, in truth, it is one of many tactical approaches that Bayern can utilise in games. Let’s consider a number of other key contributory factors in Bayern’s success this season. Karl-Heinz Rummenigge has been Bayern’s Executive Board Chairman since 1991 and has been involved with the club for over 30 years. Rummenigge has spoken about the extraordinary team spirit that sets the current squad apart from previous Bayern teams, many of whom achieved great domestic and European success. Rummenigge believes this is due to the willingness of each player to work towards the shared mission of the team rather than focus on individual desires. This season Bayern have been stronger because of Heynckes’ concerted efforts to make his players more competitive and develop a hunger for success. He instilled into his players the importance of never being satisfied or doing just enough to win. His plan was for every member of his squad to think and feel they were part of a team and to contribute as much as possible to the team effort. Club chairman Rummenigge believes Bayern’s squad quality and strength in depth has played a key role in their success this year, saying, “I learned this year that a team is made up of 24 rather than just 11 players.” A lack of squad strength in depth is surely something that Barcelona must now be regretting after their demolition by the bouyant Bayern side. Both Bayern and Dortmund have emerged as major forces in European football in no small measure because of their ability to fuse the renowned German physical strength and stamina with technical skills that, in the past, were associated only with South American and, more recently, Spanish players. Bayern’s improvement this season has coincided with the astute appointment last summer of former German Football Association (DFB) technical director Matthias Sammer as sporting director. Sammer played an important part in devising the DFB’s masterplan to transform Germany’s youth development system. Sammer has helped Bayern to maximise players’ physical and technical development. Similar to Jürgen Klopp at Dortmund, he has taken full advantage of advances in technology, sports science and sports psychology. Barcelona’s success in recent years provided a significant challenge to European clubs to develop players and formations capable of competing against the tiki-taka style. This season in the Champions League, Bayern and Dortmund have demonstrated that winning is about more than possession of the ball. We are witnessing the growing effectiveness of the gegenpressing approach, particularly in German football, involving ultra-fit, technically sophisticated players working extremely hard as cohesive defensive and attacking units. Many people are predicting that Bayern and Dortmund can emulate the recent achievements of Barcelona and go on to dominate European football in coming years. For now, in gegenpressing, it appears the Germans may have finally discovered an antidote to tiki-taka. YOUTH SPORT: IS A WINNING MENTALITY IMPORTANT AT INTERNATIONAL YOUTH LEVEL? You might read the title of this article and think, yes that’s obvious! However it is easier said than done. In European under 21 football there is only an opportunity to win a trophy every two years. This summer the 2013 UEFA European under 21 Football Championship will kick off in Israel and only a few players competing will have ever won a trophy at International level. You could say that these few players are one step ahead of every one else as they have already got the winning mentality and know what it takes to win this competition. What is a winning mentality? Dorrance and Averbuch (2002) say that the winning mentality is “a combination of focus, pride, competitive anger, relentlessness, hardness, fitness and courage”. The word relentless stands out in this definition. Relentless means to never give up (Dorrance & Averbuch, 2002). It may be too harsh to say that the England senior team give up in tournaments but if you look at the Spain senior team, they have this energy about them that makes them work for each other and press the opposing team right until the final whistle. It can’t then be a coincidence that they have won the last two European championships and the last World Cup. The Spain under 21’s play exactly the same as their senior team. They look up and admire their role models and the coaches have replicated that style of football and implemented it into the youth set up. Spain won the under 21 European championship in 2011 which came after the senior team’s 2008 European win and 2010 world cup trophy win. You could say that the under 21 players had a belief they could win that trophy after seeing their role models win two trophies back to back. Now in 2013 many of that European winning team in 2011 are in the senior set up. Players such as Juan Mata, Javi Martinez and Cesar Azpilcueta have experienced what it is like to win a major trophy at youth level. So that niggling fear of “can I really win” or “am I good enough” have been wiped away from their minds due to the fact they have won something and know what it takes. Javi Martinez also plays for Bayern Munich who have stormed the football world this season in winning the Bundesliga, the Champions League and the German Cup Final. So much so that they are refunding all their home tickets that have been bought this season due to how it easy it has been for them and the lack of entertainment for the fans. Bayern and the German national team have a core of German players, many of whom played for the German under 21’s who won the 2009 UEFA under 21 European Championships. This win in 2009 for Germany again cannot be a coincidence. Four years on and the core of that winning team have won the treble for Bayern Munich and are part of the Germany senior team that is the most feared European country in football at this moment in time. The Brazil national team are favourites for the 2014 FIFA World Cup in their home country which could be a big reason why they are favourites. However their under 20’s won the under 20 FIFA World Cup in 2011. Players such as Chelsea’s Oscar, Juan and Coutinho were part of that winning team in Colombia and are all in the senior team nowadays. They have experienced winning at International level and don’t be surprised if the favourites come out on top this time next year! In answer to my question “Is a Winning Mentality at International Youth Level Important?” The answer to that is a resounding yes. All countries should focus more on youth side of international football if they want to have a better chance of winning the major tournaments at senior level. If they want to know why; the evidence is there! Players need to find that edge over their opponents and believing you can win and having that experience of winning goes someway to achieving success in your chosen sport.